Transgender filmmaker Jason Barker began the life of his debut feature A Deal with the Universe with the intention of making a short film back in 2004, as his partner Tracey was about to begin a cycle of IVF using his eggs because tests showed she wasn’t likely to get pregnant with her own. A major setback developed in the form of a breast cancer diagnosis which required Tracey to take menopause-inducing drugs. Not one to give up, Jason acknowledges that his body can conceive a child, so he dials back the testosterone (taken for transitioning) and endeavours to become pregnant. The 15-year odyssey of Jason, Tracey and their unborn baby has all been self-shot on video camera and whittled down to feature length. It’s highly worth spending 90 minutes in the intimate company of a lovely couple as life takes them on a bumpy ride. Typically, with self-portrait films there are reasons to doubt the veracity, but Barker submits the most honest of emotions and the rawest of footage for the final cut, including close-ups of his partner’s cancerous breast and the repeated needle injections in his abdomen. There’s a truly adoring couple at the centre, which makes us think twice about the last time we saw such affection depicted of a trans relationship on the big screen. Furthermore, it shows that – surprise – trans people really do have interesting lives after transitioning. The elephant in the room is the question of adoption as a possible option after an exhaustive chronicle of failed attempts at procreation. The idea is never addressed and a late monologue speaks to the possible reasons why. 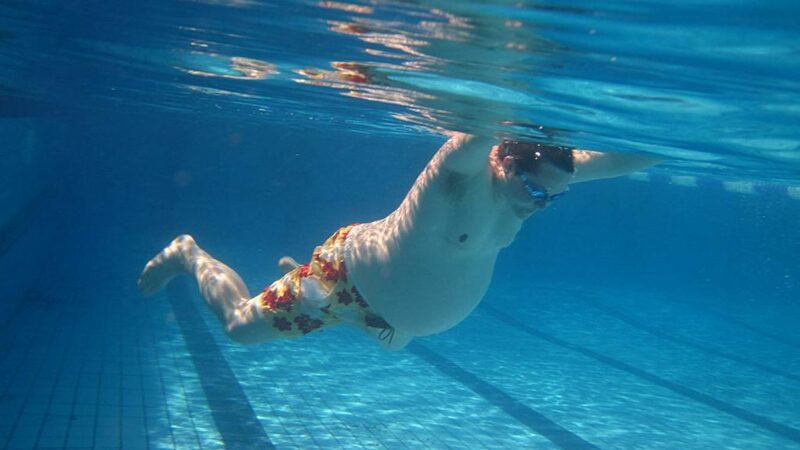 It’s unfortunate that some of these reasons are influenced by prejudiced societal comments on gender identity but the bad guys can’t win, and the beauty of Barker’s circumstance is that pregnancy always remains a possibility, even if one initially out of reach. The couple’s perseverance through hard times is truly admirable and the director’s hobby of performing stand-up comedy is a warm chamber of levity. Another fascinating dimension of this engrossing story is the cosmic connection with the universe; fate and destiny exist in real ways, not only in the journey of birth but in the journey of the film and the recent open-minded dialogue around gender identity. Barker didn’t expect to keep rolling his camera for 15 years for such a remarkable outcome, both personal and cinematic. 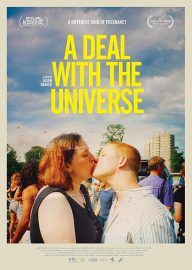 A Deal with the Universe is released in select cinemas on 12th April 2019.